See Why We Love Jonesboro! Amazing Smiles is our job. Caring for patients, not just braces, is our passion. We love what we do! But we believe there’s so much more to great care than just beautiful smiles. At Fergus Orthodontics, from start to finish, we make every part of your experience comfortable, timely, and stress-free. Flexible, convenient financing options that truly make braces affordable. You have options! We help you find the treatment plan that’s right for you. Serving families in Jonesboro is our passion. We love this community! Amazing, beautiful smiles is always what we strive for. See for yourself! Our team is amazing! They’re technically superb, compassionate, and FUN! We want to be your family’s orthodontist so please give us a call! 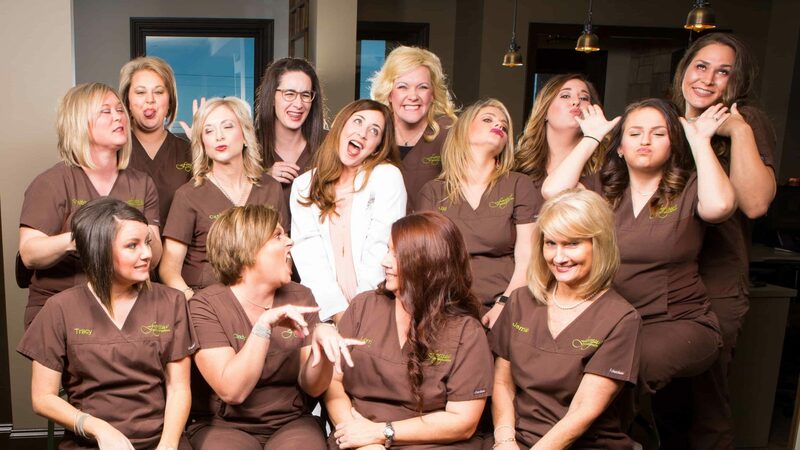 You’ve never met an orthodontics team like this! Yes, we’re an orthodontics team – but honestly, it’s much more like family at Fergus Orthodontics. We love each other and that care and compassion is extended to everyone who walks through our doors. More like your home living room than a “medical office.” Our goal is to make you relaxed and comfortable, and our office does just that! Come meet Dr. Fergus! Your Jonesboro Arkansas Family Orthodontist. I love Dr. Kelly-Gwynne and the Fergus Family. She and her staff are amazing and could not be sweeter. I had such a great experience with my braces. Without hesitation, I would recommend Dr. Kelly-Gwynne Fergus. Her attention to detail and level of perfection always made me confident that I was in the best care. I never had to wait too long and the atmosphere was always fun to be in. The staff was so helpful and polite, I wouldn’t have wanted to go anywhere else. I love my new smile. Dr. Fergus and her staff are very helpful, compassionate. Our son looks forward to his appointments. We would not choose any other orthodontist. Dr. Fergus and her staff were always kind, professional and rapidly addressed any need I had. My experience at Fergus Orthodontics was exceptional. Fergus Orthodontics provided me the ability to smile for a lifetime. The Fergus team provided an energetic atmosphere which made the whole process a great experience.